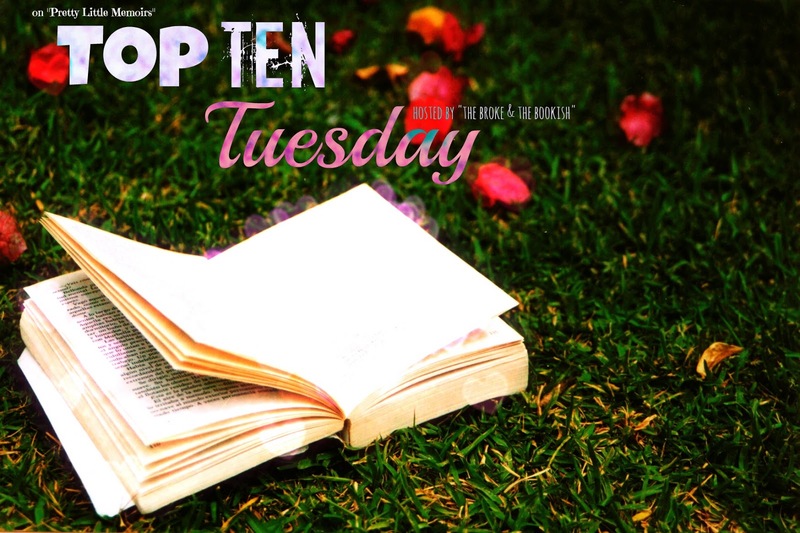 Top Ten Tuesday is an original feature/weekly meme created at The Broke and the Bookish, where bloggers come up with their TTT Lists on different questions. I don't like unrealistic books either. I often find myself rolling my eyes! Tons of POVs...good call! That reminds me, different POVs where it is difficult to figure out what character is talking! I can't stand unrealistic books either. If I can't believe it, then it's just not for me. And ugh, if a character sounds unlikeable, it's a HUGE turnoff. 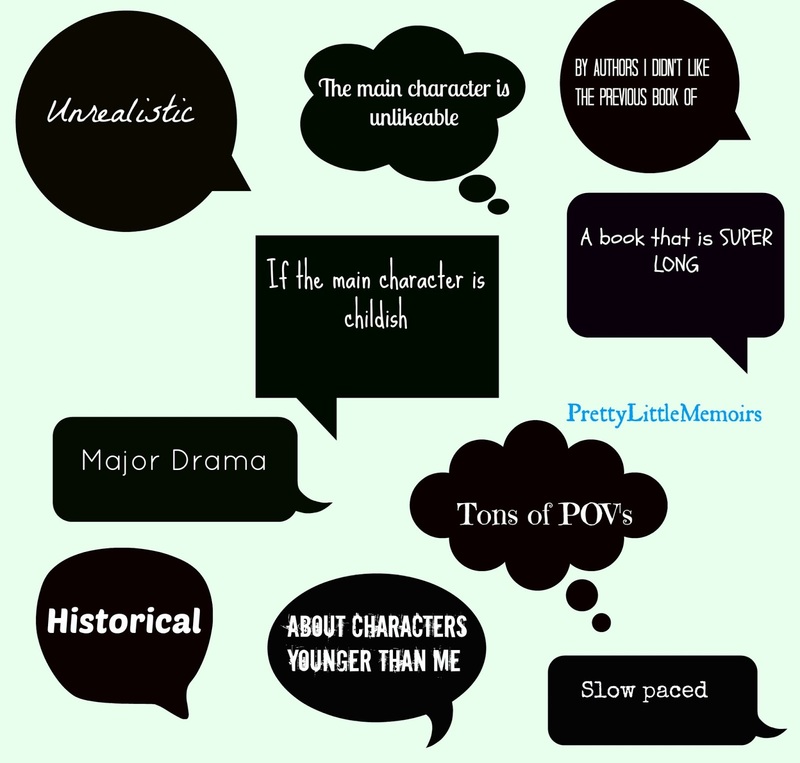 So many of these are things that make me hesitate before reading/buying a book. I'm not into historical (I find it boring) and tons of POVs are just frustrating. I read a book fairly recently where the author just kept adding them! 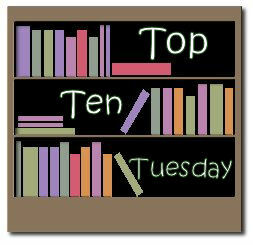 There was even a point of view from an evil crow at one stage... it was nearly enough for me to put the book down and never look back!